Samut Songkhram (Thai: สมุทรสงคราม, [sā.mùt sǒŋ.kʰrāːm]) is one of the central provinces (changwat) of Thailand. Neighbouring provinces are (from the south clockwise) Phetchaburi, Ratchaburi and Samut Sakhon. 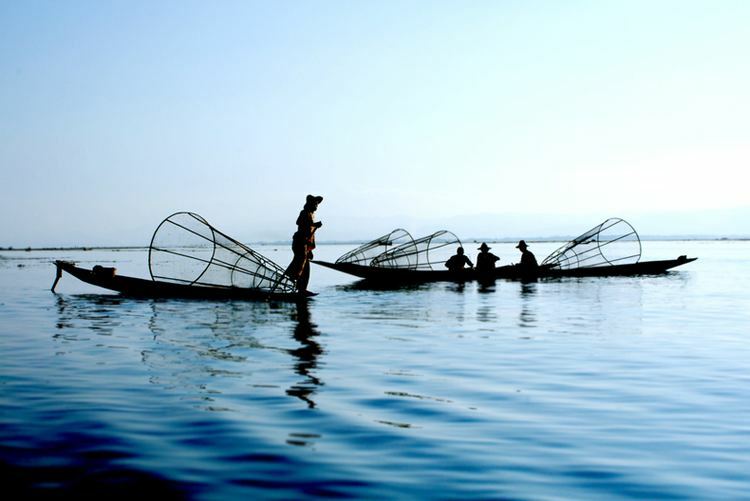 Local people call Samut Songkhram Mae Klong. The province is the smallest of all Thai provinces areawise. Chang and Eng Bunker, the famous Siamese twins were born here. 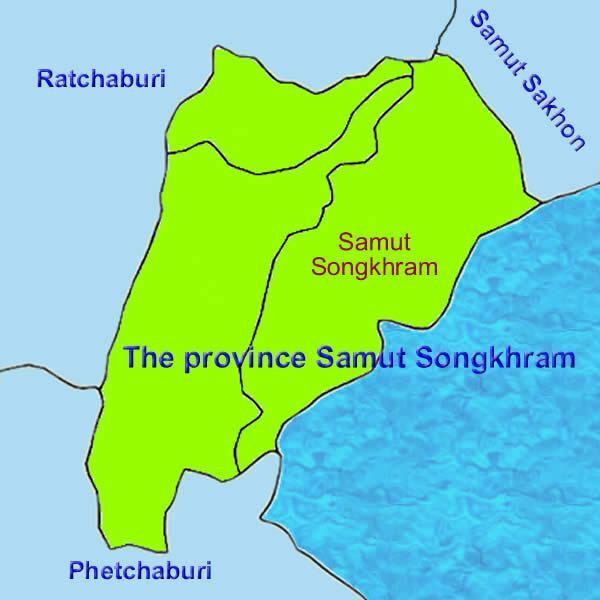 The word "samut" originates from the Sanskrit word समुद्र samudra meaning "ocean", and the word "songkhram" from Sanskrit सङ्ग्राम saṅgrāmḥa meaning "war". Hence the name of the province literally means "war ocean". Samut Songkhram is at the mouth of the Mae Klong river to the Gulf of Thailand. With several canals (khlong) the water of the river is spread through the province for irrigation. At the coast are many lakes for producing sea salt. The sandbar Don Hoi Lot at the mouth of the river is famous for its endemic shell population of Solen regularis. In the Ayutthaya period the area of Samut Songkhram was known as "suan nok" (Thai สวนนอก, "outer garden") and was administered by Ratchaburi. During the reign of King Taksin it was made a province. It was the birthplace of Queen Amarindra of King Rama I. The birthplace of King Rama II in Amphawa district is now a memorial park. The provincial seal shows a drum over a river. 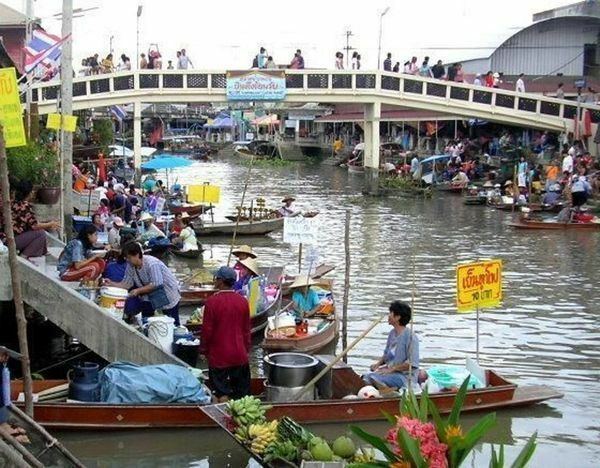 The Thai word for drum is klong, thus refers to the Mae Klong River, as well as the old name of the province, Mae Klong. On both sides of the river coconut trees are displayed as one of the main product of the province. Provincial tree is Casuarina equisetifolia. The provincial slogan is City of Hoi Lot, Top Lychee, King Rama II Memorial Park, the Mae Klong River, and Luangpho Ban Laem. Samut Songkhram is a leader in Thai salt production, with 4,535 rai worked in 2011 by 111 households to produce salt. The province is subdivided into three districts (amphoe). 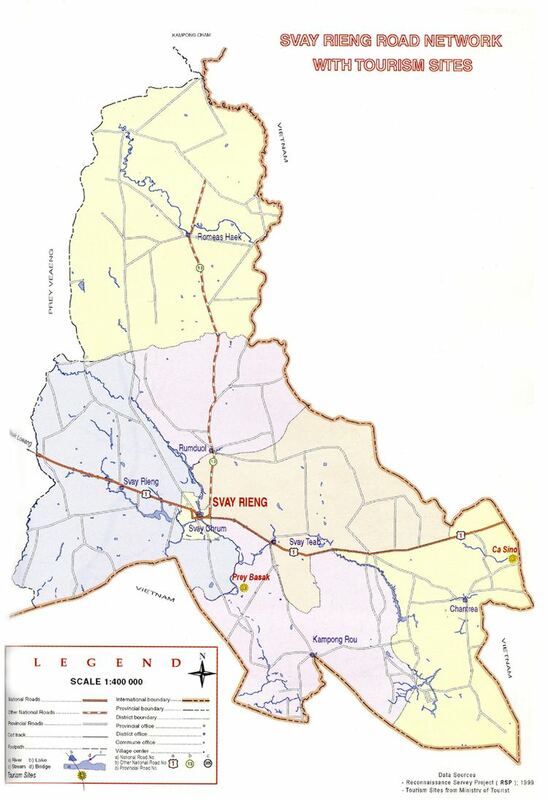 The districts are further subdivided into 38 communes (tambon) and 284 villages (muban). There is one town (thesaban mueang) and three townships (thesaban tambon).